Getting ready for school means trading flip-flops for shoes that can go the distance all day long. To start my hunt for two perfect pairs of shoes for my daughter I went to the new Collections by Stride rite store on the Upper East Side of Manhattan. The rest of the country is going to have to be a bit jealous right now--this is THE spot to see all the Stride rite collection plus Saucony, Robeez, Sperry and more (brands that Stride rite now owns). Even if you can&apos;t make it East, mark your calendar to have your child fit at Stride rite. (click here for the home page and then got to Store Locator). The sales associates are top-notch and kids love the experience no whining or tantrums. Plus, shoes that fit well make everyone happy. 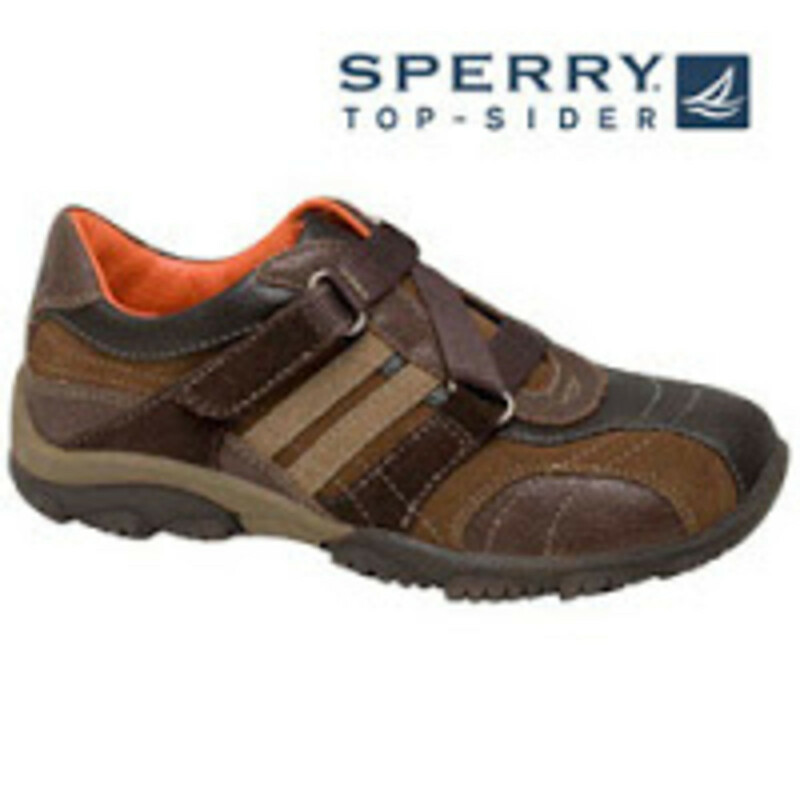 For boys I was digging the Sperry Hayden--(look above left) sporty yet dressy--a perfect school shoe ($48). And I love the leather Carter boot ($50). Sizes 8.5-12. For smaller dudes check out the Charlie and the Prodigy (sizes up to 7) ($48). Little girls will be able to look great while keeping up with the boys on the playground in the Pandora, a dressy sneaker ($48) or the Carrie ($50) (look right) both shoes go up to a size 8. Bigger girls will adore the Myka Ballerina ($45) a rad take on the sneaker with plenty of glitter. What really blew me away--the kickin&apos; boots for girls. I loved the Suri (cool name) with faux-fur detailing (still waiting on links for these!). For even younger kids (toddlers 1-2), Robeez now offers Tredz. 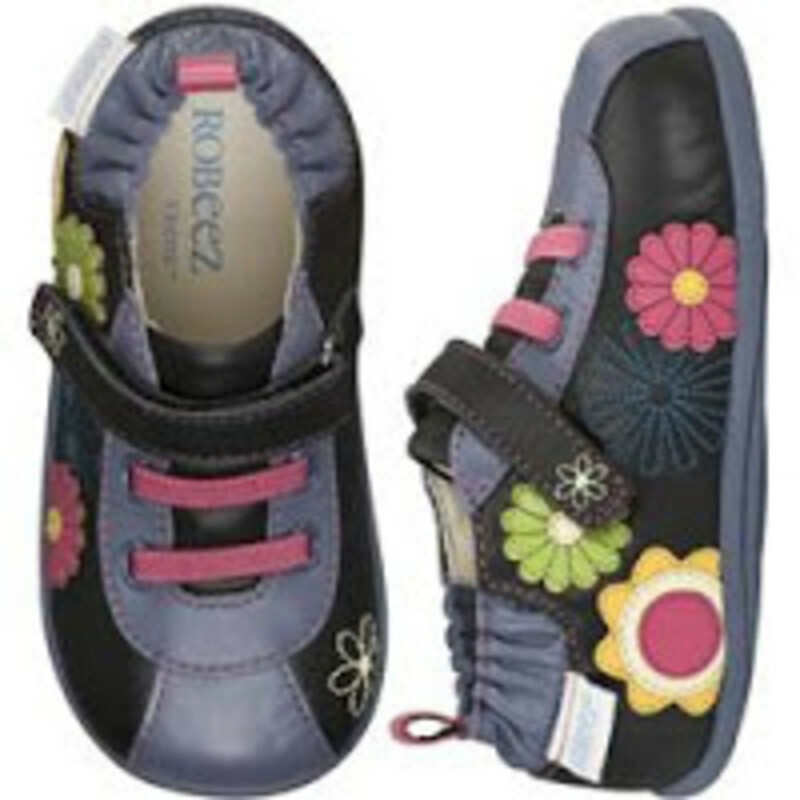 They&apos;ve got the same great Robeez styling with a water-resistant tread and cushioned insole that can stand up to the demands of a rambunctious preschooler. 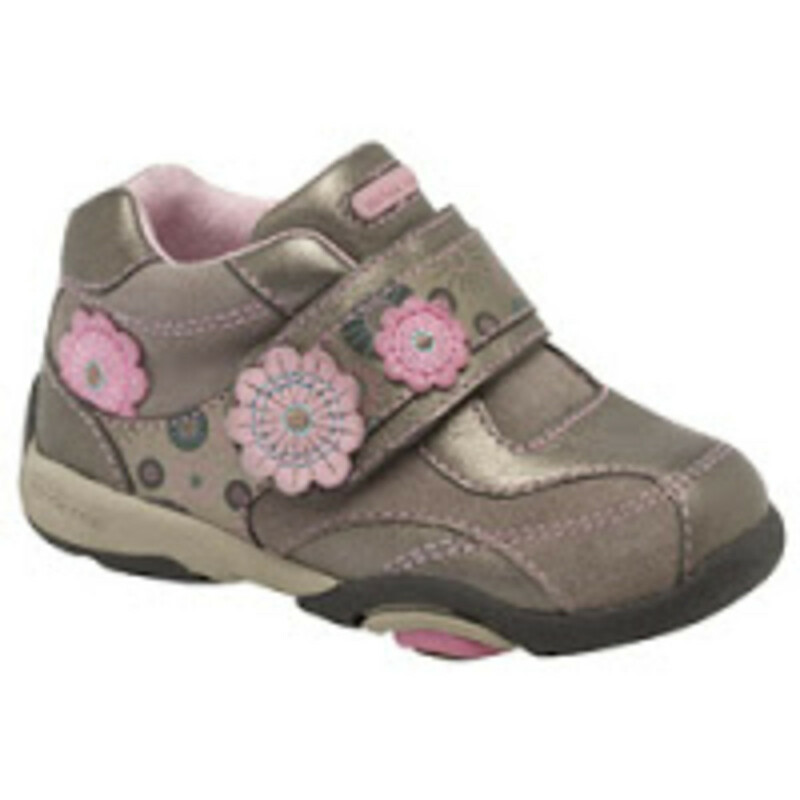 Check out the Graffitti Lace Boot ($49.95) for boys or the Flower Power for little ladies ($41.95). Right now Robeez is offering free shipping when you buy two or more pairs.